Invitation: Concert "Brikcius in Řetězová II." You are invited to the concert "Brikcius in Řetězová II." of the Czech Cellist František Brikcius, held on Saturday 27th August 2011, 7pm, at the Gallery Art Space Řetízek ("U tří divých mužů", Řetězová 7, Praha 1, downstairs). On the programme are Johann Sebastian Bach, Max Reger and Georg Friedrich Händel. František Brikcius will be playing III. Suite C-dur for cello solo, BWV 1009, by J. S. Bach (1685-1750), III. Suite a-moll for cello solo, op. 131c, by M. Reger (1873-1916) and Passacaglia by G. F. Händel (1685-1759). Next concert "Brikcius v Řetězové III." ("Tartini's L'Arte dell'Arco in the Interpretation of František Brikcius") will be held on Saturday 17th September 2011. Tickets and reservation at the door. In the cooperation with the Art Space Řetízek. More details on websites http://www.Brikcius.com and http://www.Retezova7.cz . Saturday 27th August 2011, 7pm, Gallery Art Space Řetízek (Řetězová 7, Praha 1, downstairs). 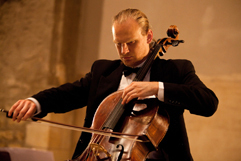 What suites will play Czech cellist František Brikcius as part of the concert "Brikcius in Řetězová II. ", held this August? Contest is over, lucky winners are J. K. from Prague and P. B. from Teplice. 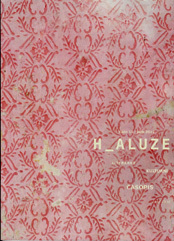 Literary-cultural magazine H_aluze . Visit websites www.H-aluze.cz . 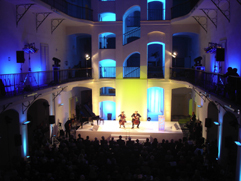 H_aluze is media partner of projects "eSACHERe" and "Duo Brikcius - 2 Cellos Tour II.". Swiss composer, oboist, conductor and pianist Heinz Holliger was born in Langenthal, in the canton of Berne, on 21st May 1939. While attending the Gymnasium in Burgdorf he studied the oboe with Émile Cassagnaud (1950 - 1958), the piano with Sava Savoff (1955 - 1958) and composition with Sándor Veress (1956 - 1960) in Berne. In Paris he studied the oboe with Pierre Pierlot and the piano with Yvonne Lefébure (1958 - 1959), and had composition lessons with Pierre Boulez at the Basle Academy (1961 - 1963). Holliger won competitions at Geneva (1959) and Munich (1961), he was a principal oboist in the Basle Orchestra (1959 - 1964). One of the leading wind virtuosos of his time, he has had works written for him by L. Berio, E. Carter, B. Ferneyhough, H. W. Henze, K. Huber, E. Krenek, G. Ligeti, W. Lutoslawski, K. Penderecki, K. Stockhausen and T. Takemitsu. Since 1965 he has taught the oboe at the Staatliche Musikhochschule of Freiburg. From the mid-1970s Holliger has become increasingly prominent as a conductor, making his first appearances as guest conductor with Paul Sacher's Basle Chamber Orchestra. His own compositions show a fascination with extreme psychological and musical situations. He is often inspired by the poetry of David Rokeah, Robert Walser, Friedrich Hölderlin and plays by Samuel Beckett. His most quoted works is Cardiophonie (1971), which uses the sounds of player own heart, picked up by a contact microphone. He was composer-in-residence with the Orchestre de la Suisse Romande (1993 - 1994) and at the Lucerne Festival (1998). He is married to harpist Ursula Holliger. His honours include the composition prize of the Schweizerischer Tonkünstlerverein (1985), the Sonning-Preis (1987), the Frankfurt Music Prize (1988), the City of Basle Art Prize (1989), the Ernst von Siemens Musikpreis (1991) and an honorary doctorate from Zürich University (1998). Together with another 11 composers - friends (C. Beck, L. Berio, P. Boulez, B. Britten, H. Dutilleux, W. Fortner, A. Ginastera, C. Halffter, H. W. Henze, K. Huber and W. Lutoslawski) of Swiss composer and maecenas Paul Sacher (1906 - 1999), he was asked by Russian cellist Mstislav Rostropovich on the occasion of Sacher's 70th birthday to write composition for cello solo with use of notes creating his name (eS, A, C, H, E, Re). 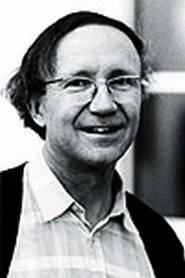 Heinz Holliger created CHACONNE. Compositions were partially presented in Zurich on 2nd May 1976. Whole "eSACHERe" project was (for the first time in complete performance) performed by Czech Cellist František Brikcius in 2011 in Prague. For more about Heinz Holliger visit http://www.Brikcius.com and http://En.Wikipedia.org/Wiki/Heinz_Holliger . Call for ... read article "The Epoch Times: Cello Duo Revives Compositions of Holocaust Victims"
Read article "The Epoch Times: Cello Duo Revives Compositions of Holocaust Victims" by Kremena Krumova about projects "Duo Brikcius - 2 Cellos Tour", "Weinberger Tour", "MAKANNA" and "eSACHERe".